South Sudan has banned all forms of wildlife hunting, the National Conservation Agency stated. A progressive step for a country still facing civil war. 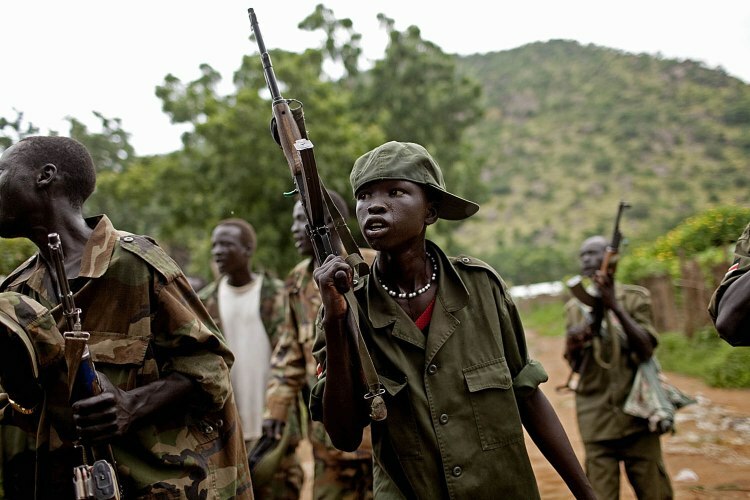 South Sudan is the youngest state in the world, it was formed in 2011 after it gained independence thanks to a referendum that followed a 20 year-long war. Nevertheless, there’s still conflict even after the separation from the northern part of the country, partly because of the difficulties presented by the coexistence of sixty different ethnic groups, and also because of the disputes for the treasures that are hidden underground, for example oil. In 2013 a new civilwar broke out, and since then it has caused more than 50,000 victims and nearly 2 and a half million refugees. The conflict that has been devastating this nation also causes great damage to the wildlife. Many species are collateral victims of the war; animals are also being hunted to offset the lack of food among the population. The main threat to species at risk is the increase in poaching aimed at selling animal parts. On the 6th of March the Ministry of Wildlife Conservation and Tourism of South Sudan banned all forms of wildlife hunting to contrast the phenomenon that threatens to compromise the extraordinary natural heritage of South Sudan, the place where the second largest migration of land mammals takes place and that hosts species of global importance like elephants, giraffes, lions and hippos. This measure also bans the trade in hunting trophies as well as wildlife products like animal skins, meat, fur and bird feathers. According to Thomas Sebit, spokesperson for the Ministry of Wildlife Conservation and Tourism, the objective of this legislation is to eliminate poaching in all national parks within the country. Sebit claims that: “Our national parks are filled with armed people who kill animals randomly, both young and old, and bushmeat is sold freely in markets”. According to the World Travel and Tourism Council (WTTC), South Sudan is an excellent destination for ecotourism. In addition to large mammals like elephants, giraffes, lions, buffalos and hippos, the country is home to one of the largest humid regions in the world, inhabited by approximately 400 species of birds. Nevertheless, according to the WTTC, tourism generated only 1.8 per cent of the country’s GDP in 2013. “We invite our tourists to obey the law, animals are a resource that will help us strengthen our economy. We have to focus on protecting endangered species so that future generations may still benefit from their presence,” Sebit stated. Last year the Wildlife Conservation Society (WCS) published a report on the first aerial assessment of the impact of South Sudan’s current civil war on the country’s wildlife, financed by the U.S. Agency for International Development (USAID) and which analysed Boma, Badingilo, Nimule, Southern and Shambe national parks. What emerged from the study that was conducted between 2015 and 2016 was that the most iconic species have survived but have suffered a decrease in numbers. For example, the elephant population has decreased sharply in the last 50 years, only 730 specimens were located in the area analysed by the WCS, whilst only a few hundred giraffe individuals are left, putting them at risk of extinction locally.